What is the top CRM software solution on the market? The top CRM software solution on the market is HubSpot CRM. It was chosen for having robust core customer relationship management functionalities, easy set-up, and simple navigation. Moreover, the vendor offers affordable and flexible pricing plans for different business sizes. Picking out a CRM software for your company is tricky business. You need to have a good grasp of what exactly you want your customer relationship management system to do for you. In addition to that, you will need to have a deep understanding of what the products on the market have to offer so you can ensure that you are spending your money wisely. To save you some time we thoroughly tested what we think are the best CRM solutions out there and below we’ll compare all their strengths and weaknesses to give you a solid overview of what each of them is capable of. This way, narrowing down which options are most suitable for your operations is a breeze. What are the top 3 CRM software solutions on the market? CRM platforms are undoubtedly beneficial to all types of businesses. Customer relationship management software improves manager communications (56.9%), improves forecast accuracy (45.6%), and reduces administrative burden (37.3%). Moreover, having CRM systems have been known to improve access to customer data, lead management, and workflow standardization across sales teams. However, it can be difficult to choose the ideal CRM solution for your operations as these programs can differ in many ways depending on target users, focus, and other value propositions. The obvious disparities are usually easy to spot, for example, one is an expensive enterprise solution while the other is a freemium. However, it is the subtle difference that’s hard to figure out. 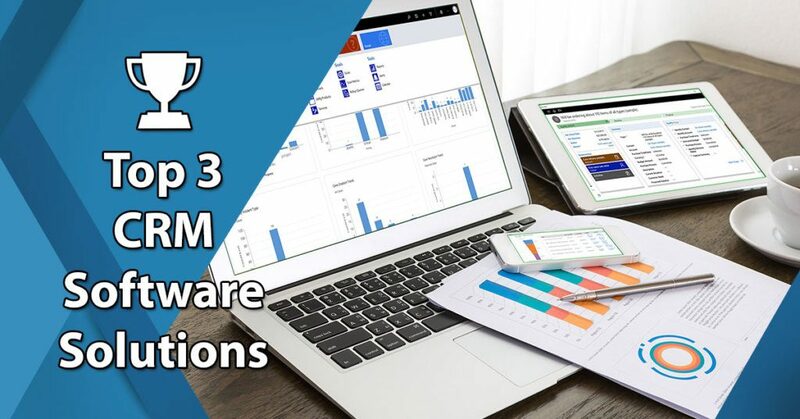 In this article, we analyze three top CRM software solutions of 2019 to see which one is the best and which one can meet the specific needs and budget of your company. As it is usually the case with market leaders, some of their key benefits will overlap, and this is where you want to focus, so you know you’re getting the better end of the deal. Considering that CRM is predicted to be a $36.5B market this year, you’ll have plenty of options to choose from and the details and differences will be crucial in picking the optimal solution. HubSpot CRM is our top choice for being one of the most robust freemiums not only in the CRM market, but in the entire SaaS industry. It has an impressive combination of being friendly to companies on a tight budget, while at the same time need a top notch CRM with really great features. Because it doesn’t cost a dime, HubSpot CRM is popular among freelancers and small businesses, but as it’s part of the HubSpot inbound marketing suite, it is also a powerful lead-generation tool for larger enterprises. This rare combination of value for money and rich features in a freemium was one of the many reasons for distinguishing HubSpot CRM with a high rating. The software is available for free. You can easily try it when you sign up for a HubSpot CRM free trial here. Landing the second spot on our list is Salesforce CRM for its no-fuss functionalities and well-integrated interface. This award-winning solution by Salesforce serves as a centralized hub that performs lead management, marketing automation, partner management, and sales data management. With these capabilities, entrepreneurs and sales professionals can boost their productivity, create data-backed strategies, as well as increase lead conversions. Apart from its robust set of features, another reason why we chose Salesforce CRM as part of the top 3 CRM software is because of its flexibility. The platform can be extended using additional tools from the AppExchange Apps or by integrating it with external business solutions such as Zendesk, and FinancialForce ERP. This makes it easy for users to personalize their system according to the requirements of their operations. Should you be interested in investing in this platform, feel free to sign up for a Salesforce CRM free trial here. This way, you can get a better grasp of the core functionalities that this system has to offer. Another key advantage of this CRM is its native integration with Freshdesk, one of the most popular help desk apps. Freshsales plus Freshdesk lends to your sales, marketing, and support teams the collaboration platform they need to respond to customers quickly, accurately, and efficiently. Freshsales also works seamlessly with other key apps like Google Calendar and Segment event tracking, while its open API allows developers to integrate the CRM with third-party apps. You can easily sign up for a Freshsales free trial here to find out more about winning features we discovered in this CRM. HubSpot CRM, Freshsales, and Salesforce CRM are equally good platform options.  They all come from reputable software providers who specialize in creating business systems. They are part of productivity suites with cloud security functions and mobile-ready features, making them handy for sales teams that are always on the go. To top that, these three have scalable interfaces that can adapt to the needs of businesses of different sizes. However, it is important to note that each platform has its strong suits and shortcomings that might be crucial to making a decision for your operations. For one, if you prefer a platform that focuses more on simplifying the CRM process using minimal tools, HubSpot CRM is the ideal one among the three. Whereas, Salesforce CRM is better for users who want CRM functions that can cover different aspects of your business including sales, marketing, customer support, and IoT. Should you want a system that relies heavily on artificial intelligence, then, Freshsales is probably the best option for you. The bottom line here is that these software solutions were created to address the needs of particular businesses. To help you make your decision, we have reviewed these three platforms based on some of the major functionalities and characteristics expected from a CRM solution. While all platforms on this list are built for usability, HubSpot CRM has an edge over the two systems when it comes to visual simplicity. It also offers a smooth set up process that only takes a few minutes to finish. In fact, to start a sales pipeline, all you have to do is make a quick mailing list import or organize email contacts using pre-built filters. Additionally, the app works in the background and will only be prompted if you need to add a task, update, contacts, or check the dashboard once installed. Like HubSpot CRM, Freshsales also offers easy implementation that does not require new hardware. However, it does have a slight advantage when it comes to ease of navigation. Aside from its familiar drag-and-drop function, the platform also has smart navigation features that remember recent activities and frequent actions. After which, it gives you options to add them as shortcuts for the next time you schedule any tasks. As for Salesforce CRM, it does not have the same low learning curve that HubSpot CRM and Freshsales provides. It is much more complex to get used to because of its multi-tiered modules. In terms of contact management, HubSpot CRM, Freshsales, and Salesforce CRM proved to be equal. HubSpot CRM can accommodate a large number of contacts at no cost and connects to myriad customer-facing channels, such as emails, social media, phone, and website. It can consolidate names of people and their contact details as well as add records with a single click, making it easy to maintain. However, if you implemented this in conjunction with HubSpot Marketing, you might get charged $100 per month for each additional batch of 1,000 contacts you import to your CRM. Freshsales, on the other hand, offers a transparent event timeline option to track contact activities and analyze customer behavior, making it easy to create new sales strategies. It also allows users to make quick notes about each contact so that any sales agent who picks up the conversation will get an instant context about the interaction. The only downside to this platform is that it is not intuitive in differentiating leads from contacts at the onset of implementation. Like the two platforms, Salesforce CRM can support large databases and analyze customer behavior. It leverages different channels of communication in order to help users get a deeper understanding of their customers’ needs and preferences. It seems the only issue you might encounter with this system is that it does not let you import contacts from your existing system automatically. As a quick fix to this, you may choose to purchase their Lightning Community Builder. CRM is all about the sales pipeline; all other functions of the system revolve around converting leads to increase profits. So, it is important that the software you choose can effectively map out the lead management process, streamline your sales workflow, and organize contacts according to your priorities. In this respect, we find HubSpot CRM to have the most efficient and simplified lead management that can easily be adopted by sales teams. For small businesses, the software will be a powerful tool to sort contacts, make appointments, send emails, place and record phone calls, and log updates. It also offers a neat workflow that allows you to structure a straightforward pipeline from start to sales. You can also use HubSpot CRM’s Tasks to organize related contacts, companies, and deals. For lead scoring, Freshsales has a unique advantage. It not only shows helps you prioritize high-value prospects; it also makes sure that these strong leads are given to star sales performers. It also offers a clutter-free lead management feature that links to 360-degree customer profiles. Likewise, it features automation where you need it most: manual entries and lead assignments. As for Salesforce CRM, we found its rich activity timeline to be ideal for agile sales teams. Like the two platforms, it updates contact information automatically and provides you with a comprehensive visualization of your data for easier navigation. It also has lead scoring and routing options that you can configure and automate according to your preference. However, this system allows you to see which campaigns the leads are coming from so you can better determine what sales strategies can work best on them. HubSpot CRM allows flexible customization right out of the box. It can be customized horizontally by whoever has user permission. Tweaking lists is easy with bulk editing tools. Likewise, you can associate contacts, deals, and company data however you deem fit with HubSpot CRM. You can edit each record or filter their groupings by clicking and tweaking Properties. Freshsales offers standard features like custom fields for contacts, leads, accounts, and deals. Sales managers, business owners, and tech support will be vertically prompted to sets of tools relevant to their work. This is great for organizations with clearly defined employee roles. For startups, small business, or organizations with a more agile structure the prompts can be limiting. Salesforce CRM provides users with customizable sales processes for a defined customer journey. Workflows, validation rules, and approval processes can be set up based on your unique criteria, and these can be automated to accelerated to make work faster and easier for your sales team. To help businesses in making personalized customer engagements, Salesforce CRM provides you with a clear view of your customers’ profile through custom defined fields for important client information and relationships. Purchase history for specific orders is also displayed for better context. All three top CRM solutions can generate multiple reports. They can display data in different standard ways, such as by sales activity, product family, or recent deals. If you prefer straightforward reporting functions, HubSpot CRM is a better fit for you. It has the most simplified reporting of the three, making it easier to increase user adoption. Data revolves around dashboards for ease of retrieval or quick lookups. You get to view various report highlights, sales performance, deal forecasts, and productivity details. The platform also allows you to filter reports based on agents, accounts, teams, or other objects. As for Freshsales, it can generate four report categories that are essential to managing a growing sales team. Email reports give you an overview of opened emails and the number of merited clicks and responses. Phone call reports show the number of outgoing calls by each rep. Task and appointment reports display created/completed/overdue tasks and scheduled and accomplished appointments. For those who are looking for real-time reports and adaptive forecasts, Salesforce CRM is a quality option for you. All important metrics can be easily gathered to generate detailed reports, making it a great tool if you’re looking to quickly find answers to your questions. It comes equipped with a report builder tool as well for formatting reports. Users are given the ability to share, schedule, and subscribe to reports and dashboards. It’s a close fight for these top platforms when it comes to integration capabilities because they are part of reputable productivity suites. This means they can blend effortlessly with other business systems from their respective software providers. HubSpot CRM is part of a suite of inbound marketing tools such as email marketing, social media monitoring, and SEO. Freshsales can be merged with Freshdesk and Freshservice, popular apps for help desk and IT service desk management. Lastly, Salesforce CRM can be used in conjunction with the vendor’s programs for sales, marketing, IoT, and more. In addition to those, all three CRM systems can work smoothly with third-party integrations and popular business systems such as Google Apps. Because of this, users can simply implement it alongside their favorite programs rather than have a hard time finding systems that are compatible with your CRM tool. In terms of advanced configurations, however, Salesforce CRM has an advantage over the two. This is because its interface allows organizations to develop and run their own applications to perform specific tasks. Salesforce’s App Manager allows users to add and remove integrations to the platform. It is nearly impossible to find a CRM solution that will cater to every single concern of your operations. When it comes to choosing one, it all boils down in weighing the pros and cons and how these factors will impact your business. Based on our review, we think that HubSpot CRM, given its highly intuitive core CRM functionalities and ease of setup has an advantage over the two solutions. Businesses can even use it for free when they sign up for a HubSpot CRM free app here. Freshsales is a close option for its unique tools like lead scoring and automated lead management workflows that give our top two CRMs tough competition. Lastly, Salesforce is a rich CRM platform with features and analytics for your picking. But it comes with two disadvantages: it’s more costly and complex to navigate. In the end, we recommend you select the CRM software you think will help you perform your work better and yield more conversions. As you browse, be sure to use our guide on choosing a CRM platform. This should give you some tips on what to look for when you are assessing software solutions. Find a suitable CRM tool that can accommodate your needs. Getting the most out of your CRM starts with investing in a CRM software that is built to help you achieve your sales and marketing goals. There are different types of CRM software and in order to pinpoint which type you’ll be needing, you must first understand what your goals are. For instance, if you are looking to improve customer support efforts, a conversation CRM system might be ideal for you. This will help you monitor emails and phone calls so that you can pick up where the previous conversation left off, making it more convenient for clients who are contacting you. If you want to improve customer interactions, a contact CRM tool might suit you better. This focuses on gathering customer information such as birthdays, occupations, and browsing patterns so that you can make interactions more personalized. Should you want to improve marketing campaigns, another type of CRM software you might want to consider is a leads and deals CRM. Unlike the two other CRM options, this zeroes in on the status of leads so you know exactly where they stand in your sales pipeline. Don’t rely completely on automation. While you can easily automate customer follow-ups as well as several back-office tasks, you need to be more hands-on when it comes to your CRM operations. For one, you need to create appropriate touchpoints for your clients to keep them engaged and regularly assess when to tweak them. Figure out how many times you should touch base with a client pre-sale and post-sale as well as what other situations you should use as triggers to send out emails or text messages. You should also try to consider the flow of conversation you want for different types of clients based on the stages of interest of your leads in order to plan these thoroughly. Of course, other than manually mapping these out, you need to come up with email or text message templates for these situations. By doing so, you can ensure that you are interacting with leads and existing customers in the most opportune time with the appropriate message. Let your CRM software work for you, not the other way around. Think of your CRM strategy as an empty room and the CRM software as furnishings. As you decorate the room, you wouldn’t blindly purchase the furniture you want without measuring them and making sure that they all fit in your space. In a similar light, you shouldn’t model your strategy to reinforce your software. If you want to improve your CRM operations, you should first map out your own strategy–define your key performer indicators and build your plan step by step. After which, configure the system to accommodate your plan. There you have it, our top 3 CRM solutions. To sum it up, we highly recommend that you choose HubSpot CRM for your operations as it is the most flexible and fully integrated solution on the market. You can try its features out for yourself before purchasing if you sign up for a HubSpot CRM free trial here. Of course, you should still check out the other leading customer relationship management systems if you think that this platform does not suit you. 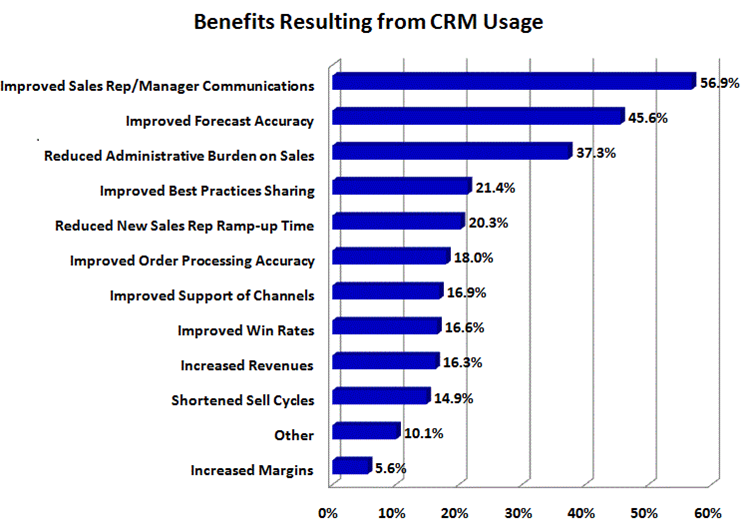 What Does CRM Software Do For A Business: Is It Useful In Your Company?